The motifs to knit to crochet to give us thousands of possibilities to create, whether it is clothing as decor for the home, crafts and accessories. 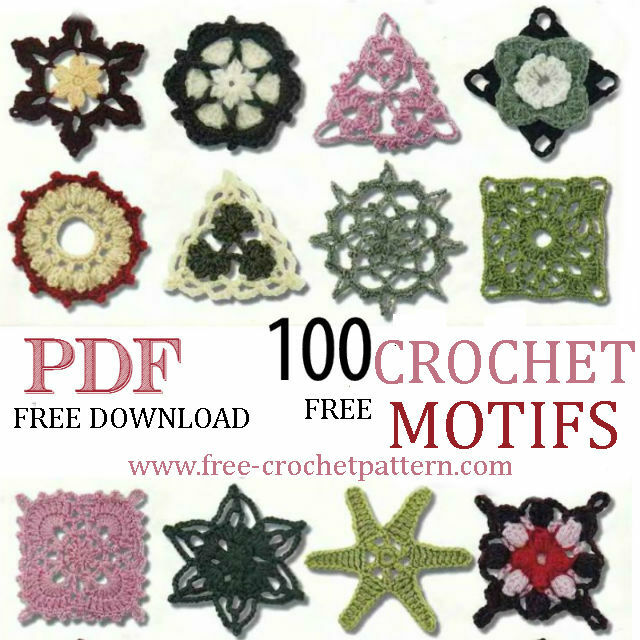 I Found a material that is precious, not only because it contains 100 motifs, but in addition the diagrams show how to weave them linked, in crochet continuous. To download it click on the download button that is below the next photo.